The Atlanta Journal-Constitution’s J.D. Capelouto is sharing new details about the arrest of Grammy-nominated rapper 21 Savage the morning of Superbowl LIII. 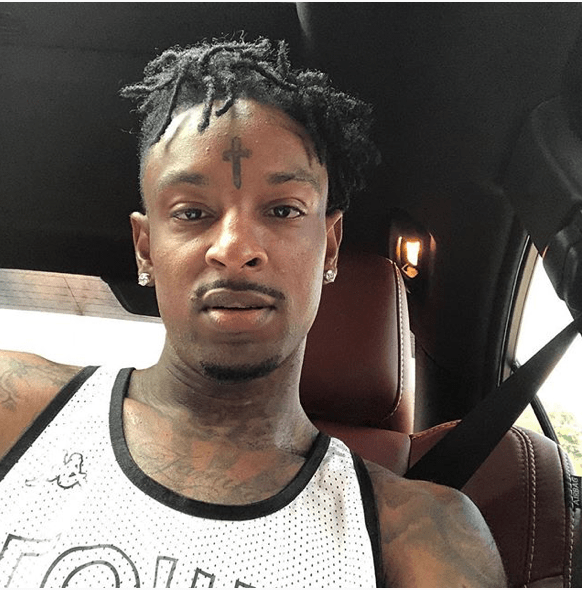 The U.S. Customs Enforcement agency (ICE) arrested Sha Yaa Bin Abraham-Joseph, whose entertainment moniker is 21 Savage, in a targeted raid in metropolitan Atlanta. The popular rapper is allegedly from the U.K. Abraham-Joseph, who recently gave out thousands of dollars of school supplies to DeKalb County School children, was previously arrested in 2014 on a drug charge of which he was convicted. Apparently authorities were not aware of his immigration status at the time of that arrest and conviction. Abraham-Joseph was apparently arrested during a traffic stop along with three other people. In addition to buying school supplies, Abraham-Joseph’s charity Leading by Example also launched an anti-gun violence social media campaign (Paintballs Up, Guns Down). He also paid for the funeral of 3-year-old T’Rhigi Digg who was killed in a shooting attributed to the social media campaign. ICE is alleging the rapper, who is from Atlanta, came to the United States from the U.K. illegally at age 14 and overstayed his visa. He is being scheduled for removal from the United States. Read the AJC‘s entire story here.